Pure soapy happiness! 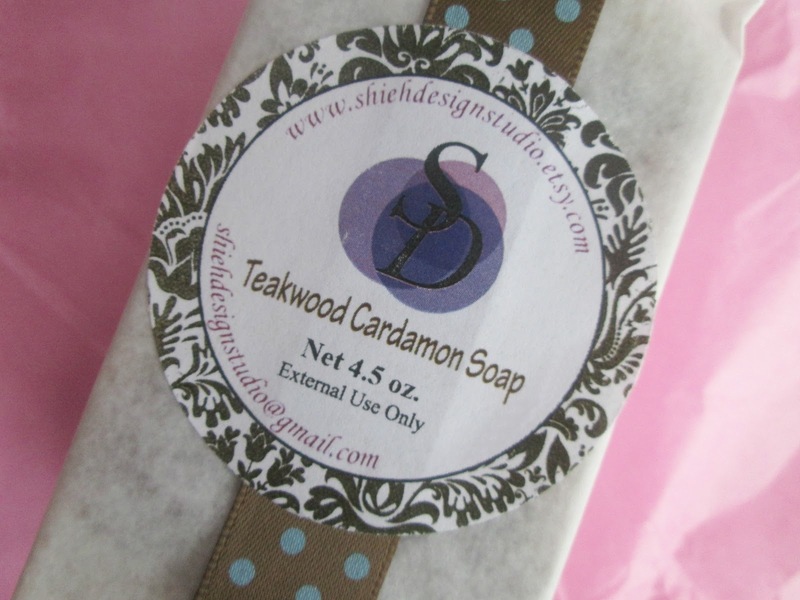 The Teakwood Cardamom fragrance is AMAZING! One of the nicest masculine fragrances I have ever smelled. 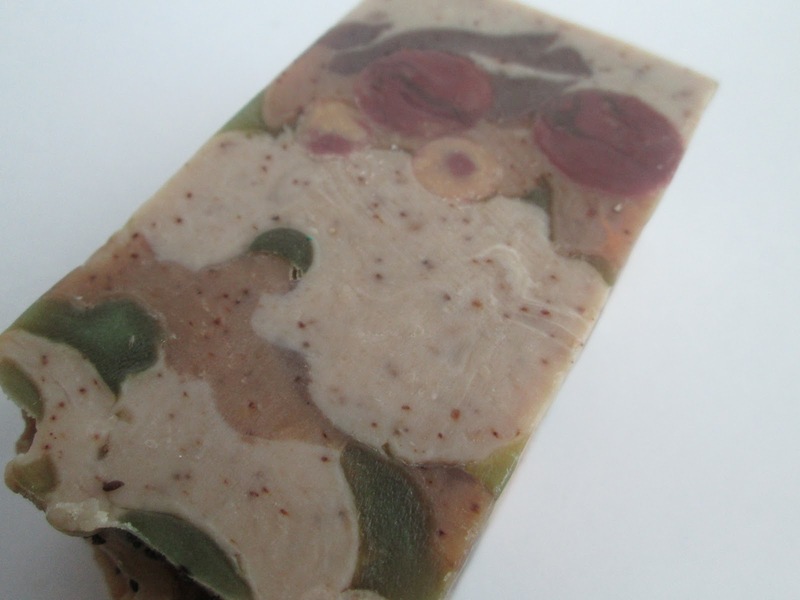 This soap contains buttermilk, banana, pumpkin seed oil to name a few of the impressive ingredients. 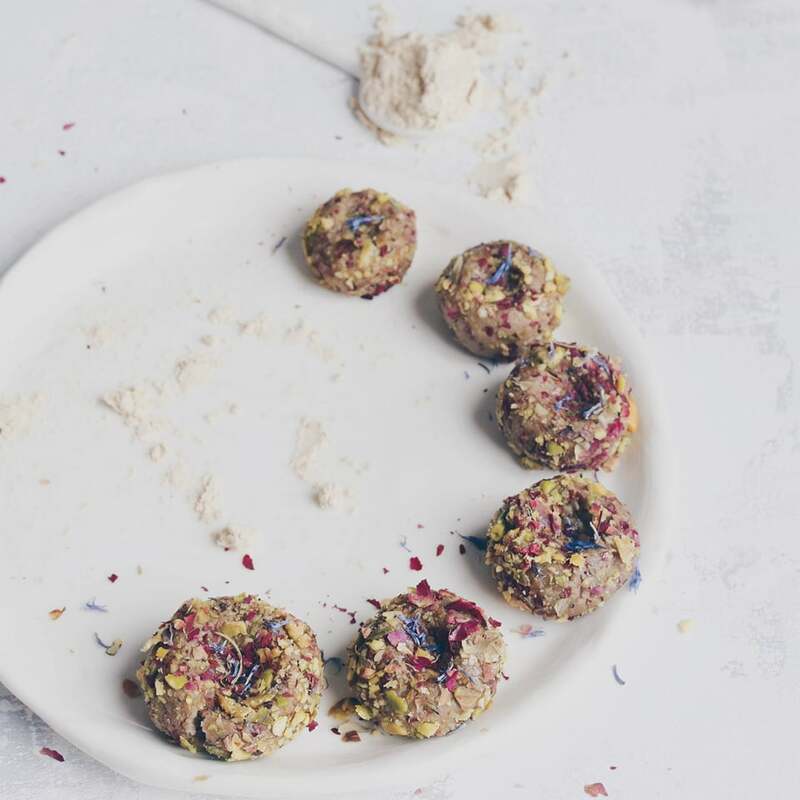 She also used some MP soap in this, I love the way Emily combined the MP and CP, it's just so visually interesting! Paradise is a lighter fragrance, fruity. 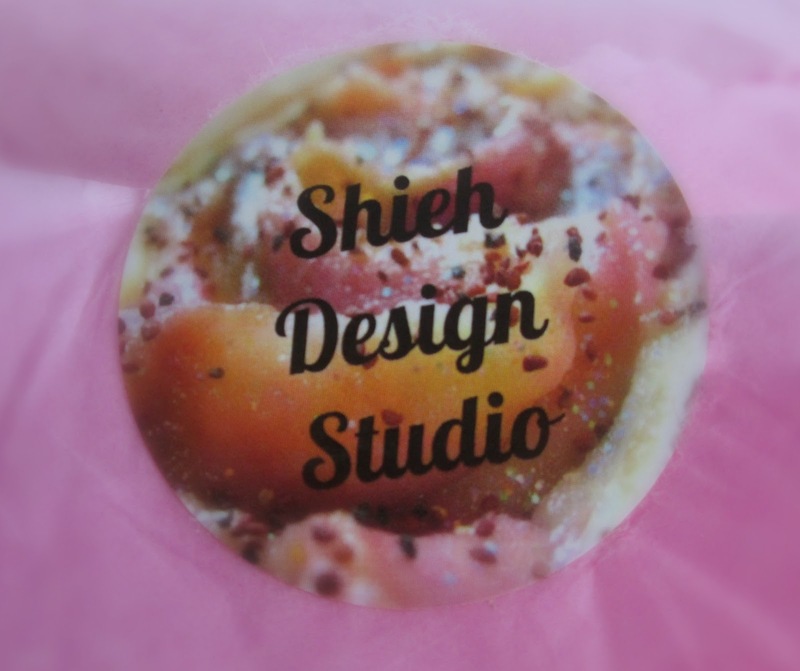 This batch contains a high percentage of shea butter along with apricot kernel oil and pineapple juice. I can't wait to try this one, I love high % butter soaps! 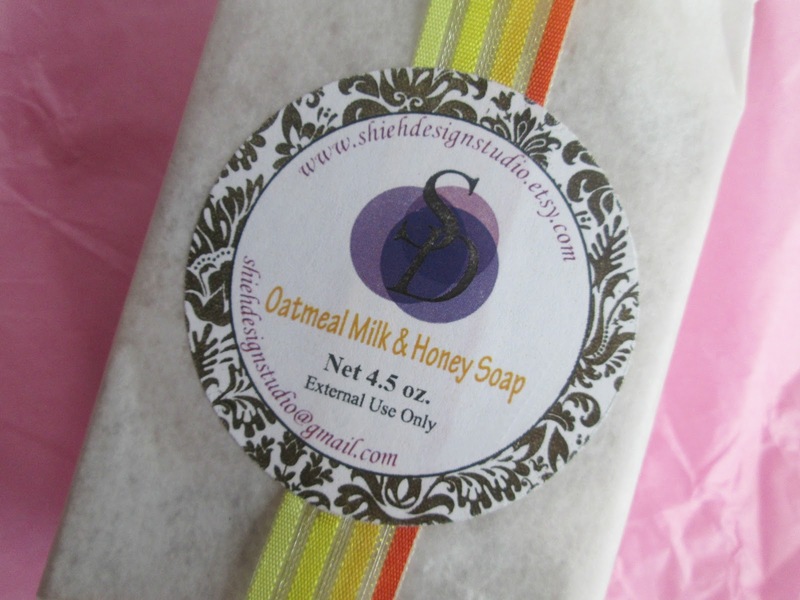 And last but not least, Oatmeal Milk & Honey. I was drawn in by the red mica pencil lines! 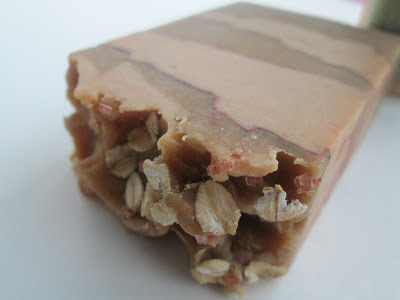 It's made with goat milk and also contains oatmeal, sesame oil, cocoa butter and honey. I hope everyone is having a great week, thanks for stopping by and reading! You keep treating yourself,Cee! 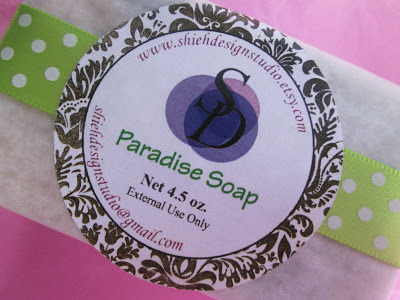 It's a such pleasure getting other soapmakers' soaps and you have picked the great goodies,Emily is an amazing soap artist. Simply grab them all to the bathroom and enjoy! And.....waiting for something new of your own! Hi Miss Diva! These were supposed to be Christmas gifts but I couldn't wait...lol! 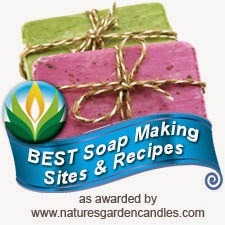 She is an amazing soap artist, I love seeing her creations! I haven't had much time to soap lately, but hope to this weekend! Hope you are all well too! You picked out some great soaps, Cee Gee! I love Emily's work, too. Her designs are always so interesting, and the packaging is gorgeous, too. The Teakwood Cardamom sounds fantastic - I looooove cardamom! 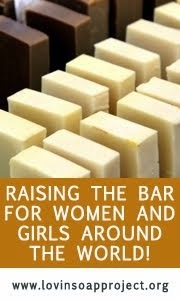 Enjoy your soaps! 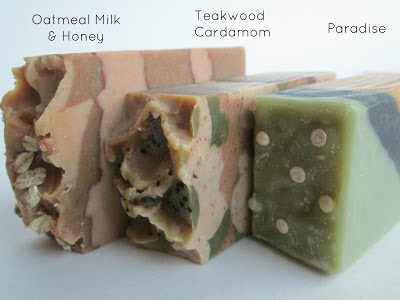 The Teakwood Cardamom is fantastic Jenny, I used it this morning! 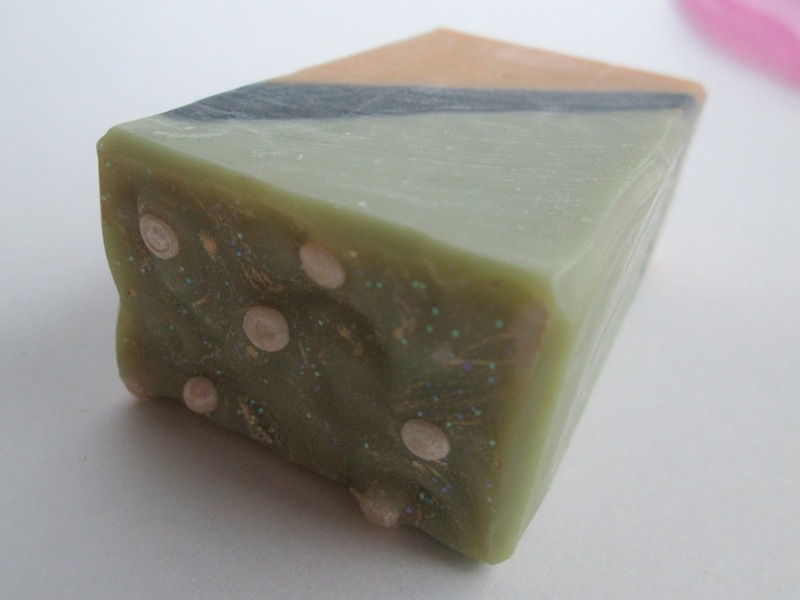 I love cardamom too but can't really detect it in this soap, it's definitely more woodsy but I love it! I didn't know it was you! If I knew I would have sneaked in something extra! Thanks for the post, I wish you a happy holiday season!